The most detailed inland water maps ever! Know every inch of the lake before your boat even hits the water with Garmin® U.S. LakeVuTM HD Ultra Maps. 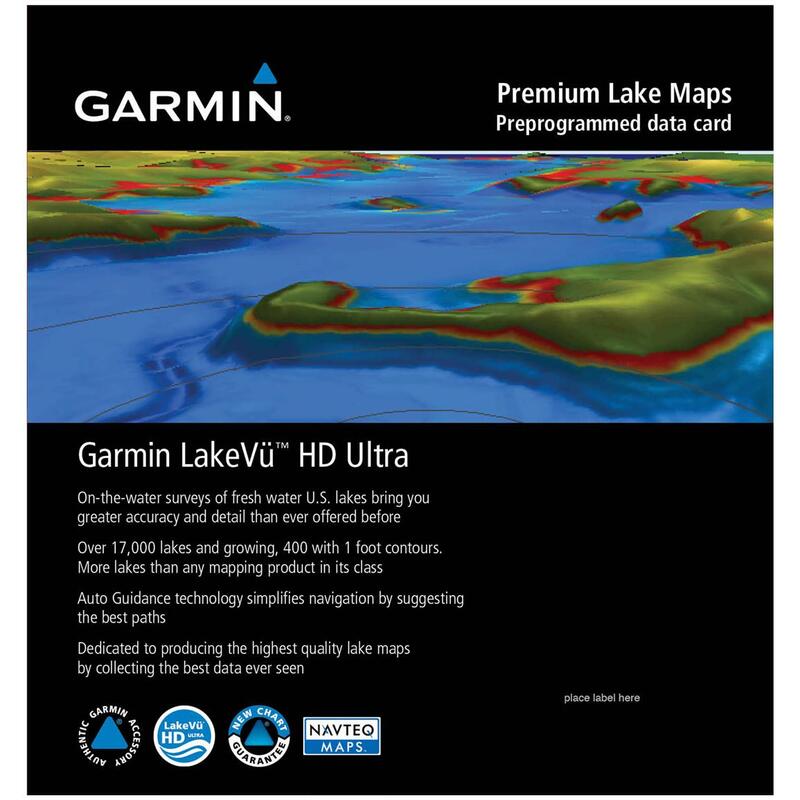 These are the most feature-rich freshwater maps Garmin has ever offered, featuring more than 17,000 lakes, 13,000 of which are HD maps with up to 1' contours, shoreline-to-shoreline. 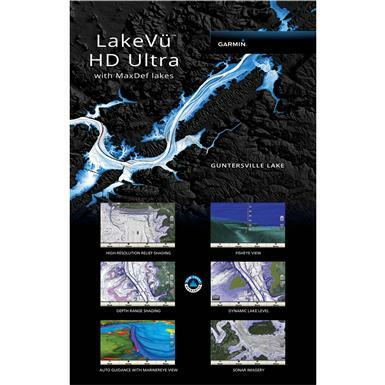 Plus, 99 exclusive Garmin-surveyed MaxDef lakes that provide the greatest possible detail to your chart plotter. Many more features too, including Auto Guidance 3.0, High Res Relief Shading, FishEye View and more, all designed to give you ultimate knowledge of direction, structure and depth to help you make the most of your fishing or boating adventure.